Model RB6PAP. SAE Class 1 Certified (amber). Rotating Halogen Beacon. Rugged double roller bearing motor assembly providing superior durability and quiet operation. Polycarbonate base. 4.5 Amps. Candlepower: 110,000. FPM: 150 single reflector. 50-watt snap-in bulb. 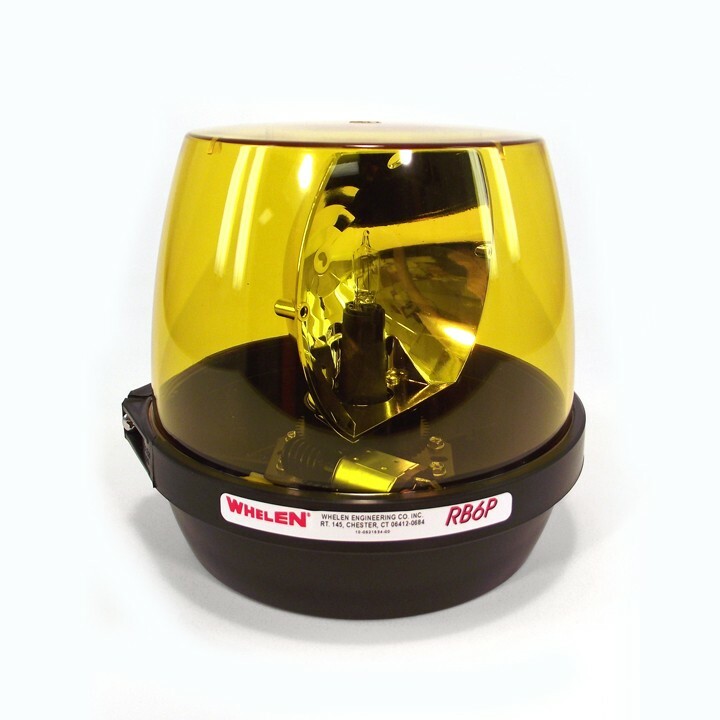 The simple, serviceable design of the Rota-Beam has made this versatile, mid-sized beacon a favorite in the industry. Easy to install with either the 1" NPT pipe mount or concealed flat mount included in the non-corroding base of each unit. Optional magnetic mount and cigar plug are available. These units meet and exceed S.A.E. and California Title XIII and NFPA 1901 requirements for emergency vehicles.